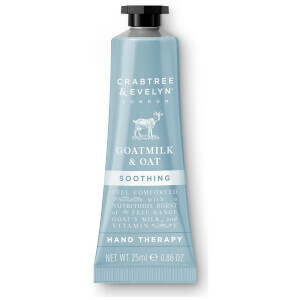 Restore dry, chapped and sensitive skin with the Crabtree & Evelyn Goatmilk & Oat Hand Therapy. The best-selling hand cream is based upon emollient-rich Shea Butter, cocooning skin with a protective and regenerative moisture veil to deeply condition and nourish. 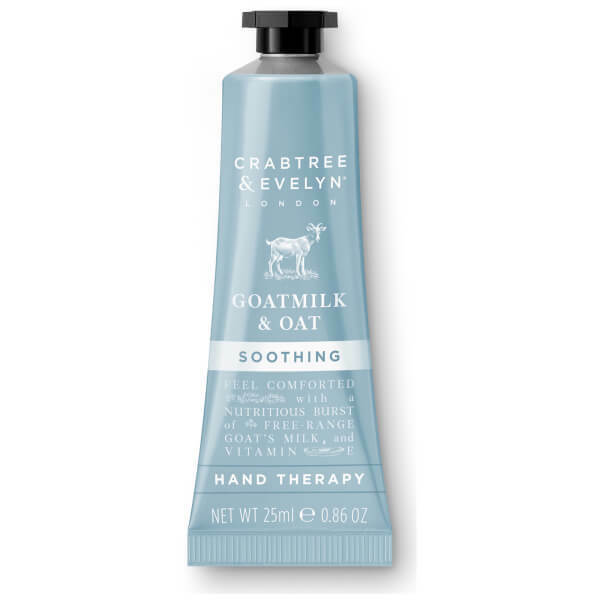 Rapidly absorbed, it balances a delicate blend of Oat Kernel, Vitamin E and Goat’s Milk, an ingredient used for centuries in ancient Egyptian rituals for its ultra-soothing properties. Hands are left feeling sumptuously softened and repaired, imbued with a fresh, clean scent.